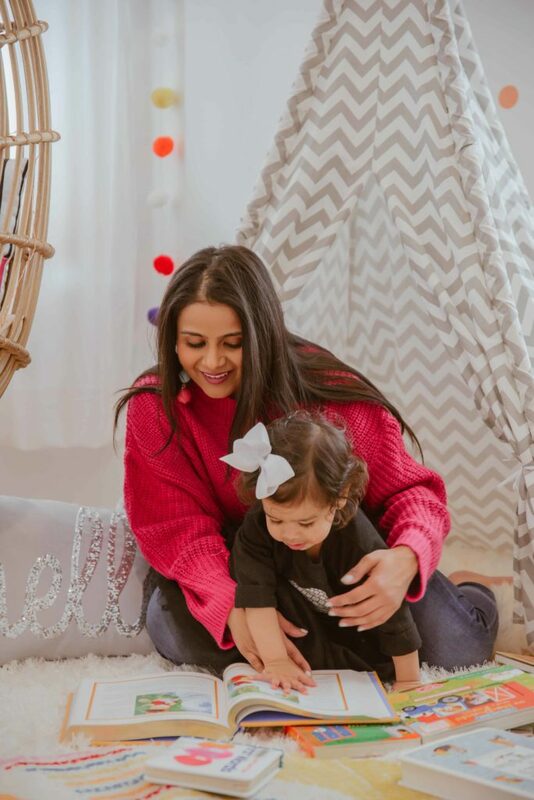 When I was pregnant with Zoe, I would call my mom with questions about being pregnant, about her experience and stories about raising my brother and I, and all the million questions that a pregnant/new mom would typically have. I specifically remember asking her how did I learn to love books so much? How did they imbibe the passion for reading in me. 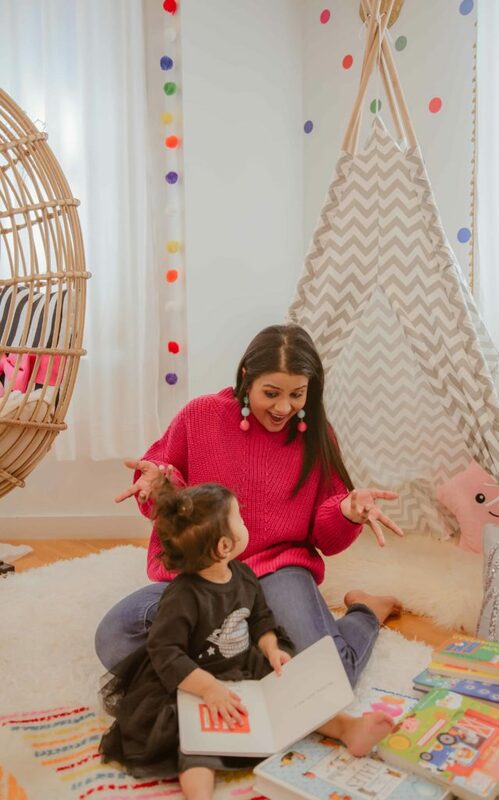 To which mom had said – you can’t teach your kid to be passionate about something but you give them the tools, encouragement and set an example. I shopped for books online, picked up many old classics from a cute used-books stores and even asked mom to send me my books that I had grown up reading that were still at home. We have been reading to her since she was a few days old. Now at 18 months, she loves her books. Dinner time is usually Amit reading to her or she likes to flip the pages of her books and identifying things. I love seeing them read together and bond over books. Here are some of our favorite books. I also borrow a lot from the library – to keep introducing new ones. I believe that books always make for a perfect gift – so instead of buying cards for baby showers & first few birthdays, I sign a book with our names to go with the gift. Goodnight Moon – We have created a cute nighttime ritual based on this book – saying good night to everything that we see as we walk to the bedroom. Love this book. Also have this in the Moonlite projector version. Dear Zoo – This is quite possibly Zoe’s favourite book. It has little doors to play peek-a-boo with the animals, the sweetest story and helps identify the common animals. Old MacDonald Had a Farm – I think we have atleast five different versions of this book – a sensory board one, a puzzle kind, one with sounds and a few more. This musical version is really fun. 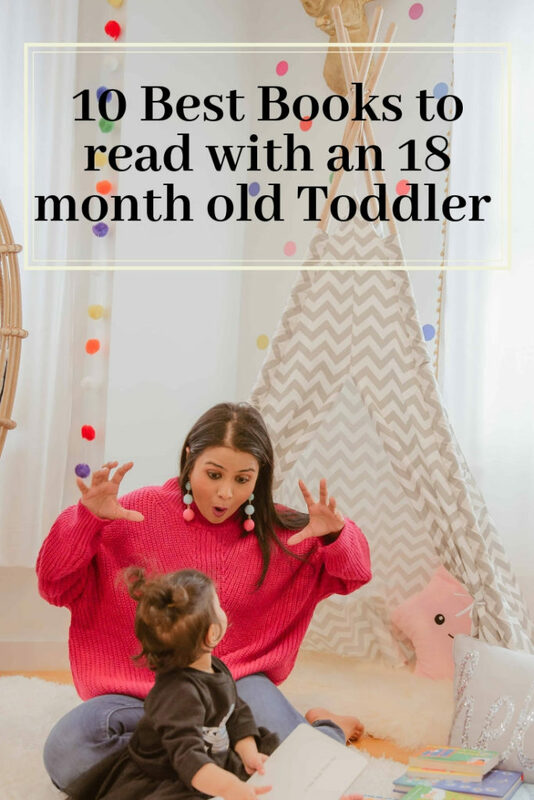 Same with other old classics such as Twinkle Twinkle Little Star – any format of the book is always fun and joyous to read. First 100 words – This is another popular book. We flip through the pages and call aloud every thing in the book. Such a fun way of learning the initial basic words. I-Spy – This is similar to the first 100 words, there are things spread out but is more like a game. Can you tell me where’s the boat – and gives the baby a chance to search for the boat amongst other things. Hindu Deities Board Books – This is one of our favorite book set. 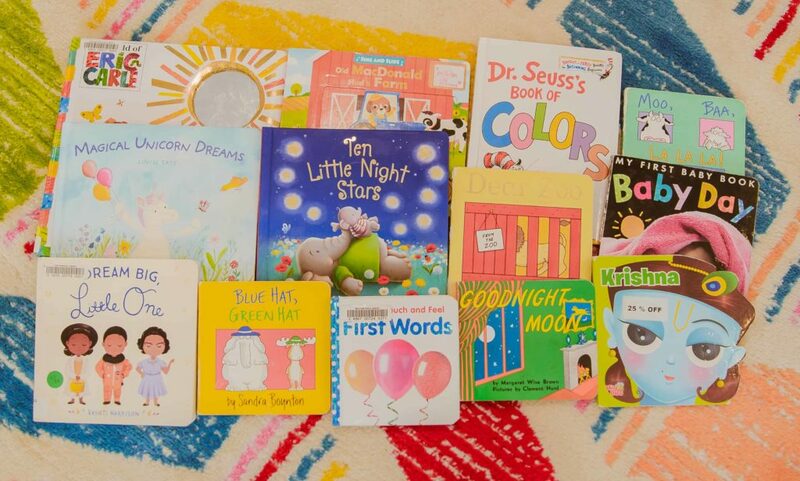 These are board books perfect for a toddler to flip through. I love how through the images and a few sentences it shares facts about the Hindu God. We have the Krishna, Shiva, Ganesha and Hanuman books. I couldn’t find them on the Amazon US site, but Amazon India has them. Basically, any of the Touch and Feel series books are fun with the sensory elements and textures. Musical Rhymes Book – musical versions of classic rhymes. Great for car-rides. 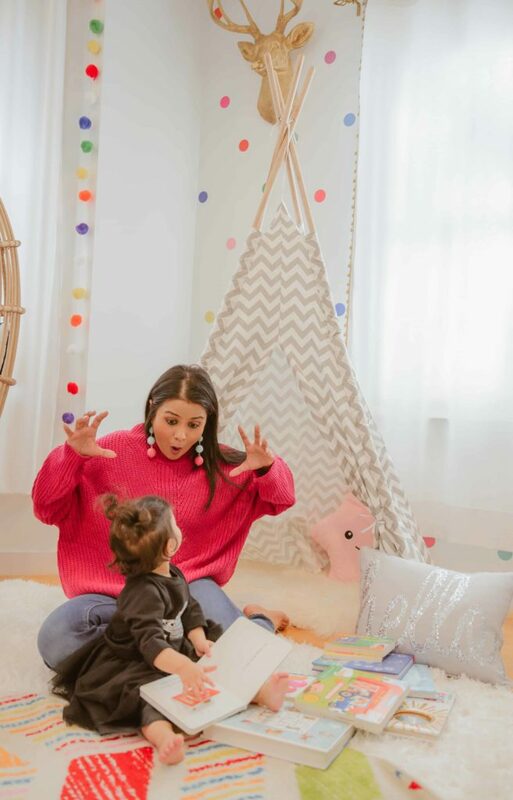 Elmo’s First Library – Fun pictures and learning along with Elmo. The set includes a book about Food, Balls, Puppies and Babies. The Wonderful Things You Will Be – This is such a sweet book, it talks about being kind, caring for little things, flying high, being superheroes, having dreams, telling stories – all the positive aspirations a parent has for a child. The illustrations are beautiful too. Neha – In times when Instagram is king and no one bothers to read blogs anymore, you consistently draw me to yours. Love your writing and your consistent ability to produce meaningful content – not just pretty fashion/style pictures but actual useful content. Love it! My daughter is slightly older than yours (just turned 2) and we’ve read many of the books on your list, but this was fun to visit nevertheless. As Zoe grows older, check out books by Julia Anderson (Room on the Broom, Gruffalo etc are good starters). She will love them! Oops.. I meant Julia Donaldson! I just checked out the Julia Donaldson books – they look fun. The titles are so funny – saving them to my list. Well written Neha. I connected more with this post as i was there when we had shopped for books at the used books shop.I remember we had picked up tons of books and it was so difficult to select from them. It is really a good habit which Zoe is getting used to.